Kids playing with dogs makes for some great videos to be shared on social media, and this one is no exception. 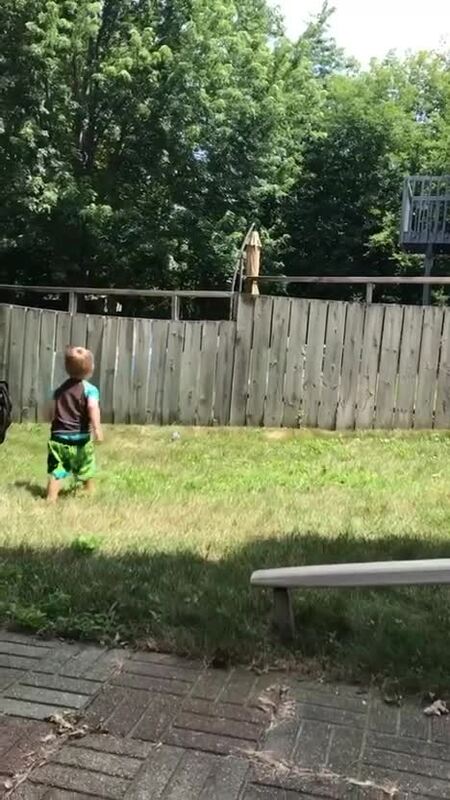 Erin Richter of Savage, Minnesota took out her phone to capture her friend's son throwing a ball over her fence. 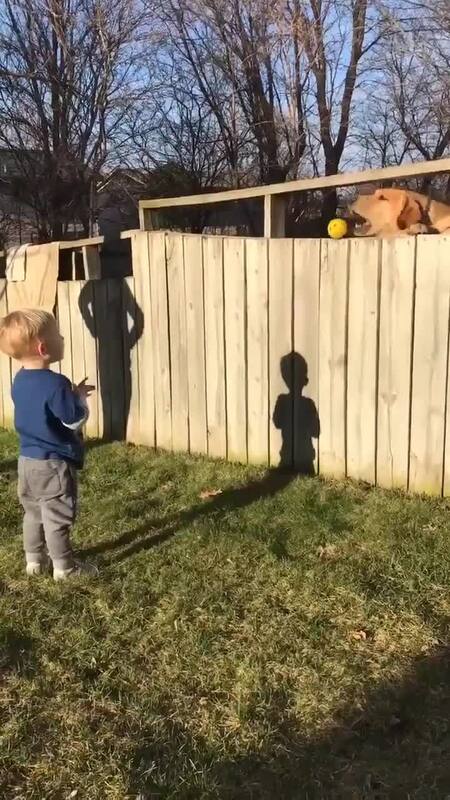 Nothing noteworthy happens, until we see a dog's head poke up from over the fence to drop the ball off to the child again. The process goes on and on and it gets cuter and cuter as you watch it. "[This] Happens all the time with my son. Dozer [the dog] will drop over a ball or bone every time we are out. Sometimes there are 10 balls on the side of our fence as he gets our attention to throw it. My son will throw until the ball is slobbery and then he is done," she said.